Born on 9 April 1906 in Bihac, Franjo Džal finished elementary school and gymnasium in Bihać and graduated from the military academy in Belgrade in 1924. In the Yugoslav Royal Army he finished training as a fighter pilot. During the German invasion, he was serving as a major in Nis. Already a member of Ustasa, Džal soon joined the Air Force of the NDH on 29 April 1841. He was assigned to the Croatian Air Force Legion in July and became the first commander of 15 (Kroat)./JG 52, and in October was promoted to lieutenant-colonel. Between then and November 1942 he claimed 16 confirmed and three to five unconfirmed victories during the course of 157 missions. By December, the Croatian Air Force Legion returned to the Independent State of Croatia for vacation. Džal and his unit returned to the Eastern Front in February of 1943. Dzal, however, achieved no further kills during his second tour, since he rarely flew and drank heavily. He became the legion commander on 22 May, but was replaced and sends back to Croatia on 16 June held posts within the command of the air force. 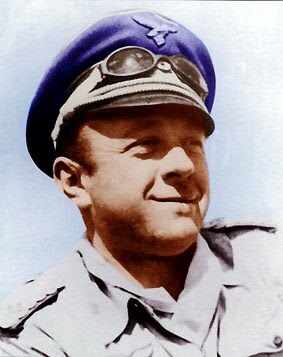 However, in November 1943 he was made commander of the Croatian Air Force Legion for the second time. Promoted to colonel in February 1944, Džal returned the following month to Croatian Air Force HQ as operation officer. With the defeat of the NDH in 1945 he tried to escape to Austria, but captured in Slovenia by Yugoslavian partisans. He was subsequently court-martialed in Belgrade and executed in October 1945.